This photo is controversial. 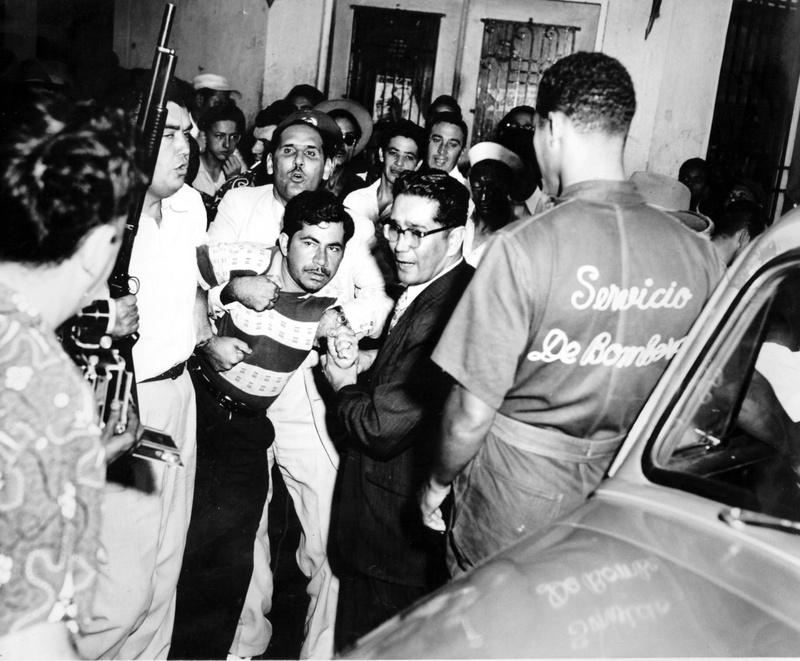 It shows the arrest of Salvadór Gonzalez Rivera as a “suspected Nationalist,” during the time period of the 1950 Nationalist revolution. However, to this day, there is an ongoing disagreement about Rivera. Some say he was a Nationalist. Others say he was an FBI informant arrested in a highly visible manner, in order to validate his “Nationalism.” This would give him greater access, and make him more valuable, as a prison informant. Others say he was both, and switched his allegiances very quickly, depending on the situation he found himself in. Others say he was mentally challenged, that his brain bore the impression of the last person who sat on it, and was therefore not responsible for his actions. One thing is certain…Salvadór Gonzalez Rivera knew how to take a dramatic photo.